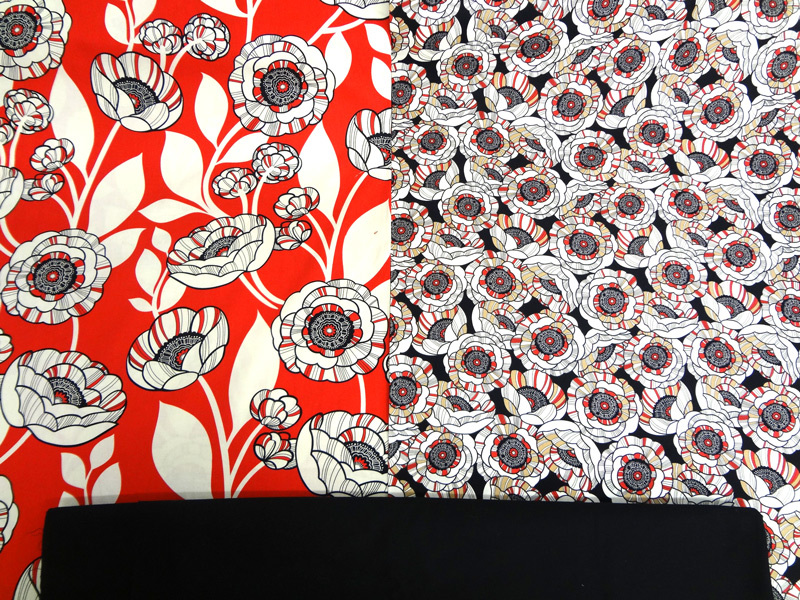 Ooh, I’m liking these two new prints in eThreads’ fabric collection! Both these guys are called “Tempo” and they coordinate with each other so nicely. 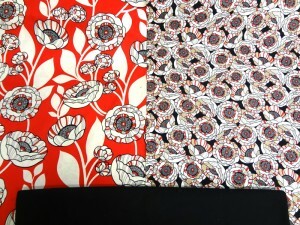 They’re both red, black, and white modern flower blossoms. I love adding a little black in there to break up the bag. 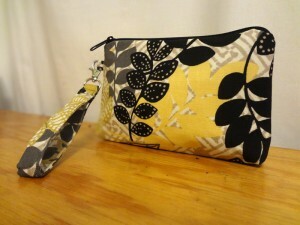 You can design your own bag with these fabrics … you’ll find them under the “Cotton 4” tab. More Organic Cottons Have Arrived! Great news for you eco-minded fashionistas – we have added a fabulous array of organic cottons to our fabric options! Now you can design your own bag with even more eco friendly fabrics to choose from! To see the entire selection, just choose any bag you wish and click on the “Organic Cotton” tab above the fabric swatches. There are two main color pallets and all the coordinating solid colors + a few wonderful extras. The Organic Cotton is soft, vibrant and versatile, perfect for your next custom-made bag. All our orders are shipped in recycled packaging, so you can design your own eco-minded bag and rule the green world. This is my favorite combination – which one is yours? At eThreads, we want our bags to remain strong after years of your love. We use multiple stitching, layers of reinforcing fabric and nylon lining. Now, the bags are getting even stronger – we’ve upgraded our nylon lining so that it’s thicker, stronger and more water repellent than ever before! Not only that, we have more lining colors to offer – 16 total! 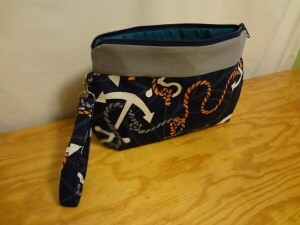 The new lining will be offered with our new 15 piece bag collection, which you can view here. We’ve already started incorporating the new lining into our current custom-made bags with fabulous results – we can’t wait for you to meet them! We have picked up some delicious new fabrics that will be introduced on the website soon. Until then, we wanted to give you a sneak peak at the goods! 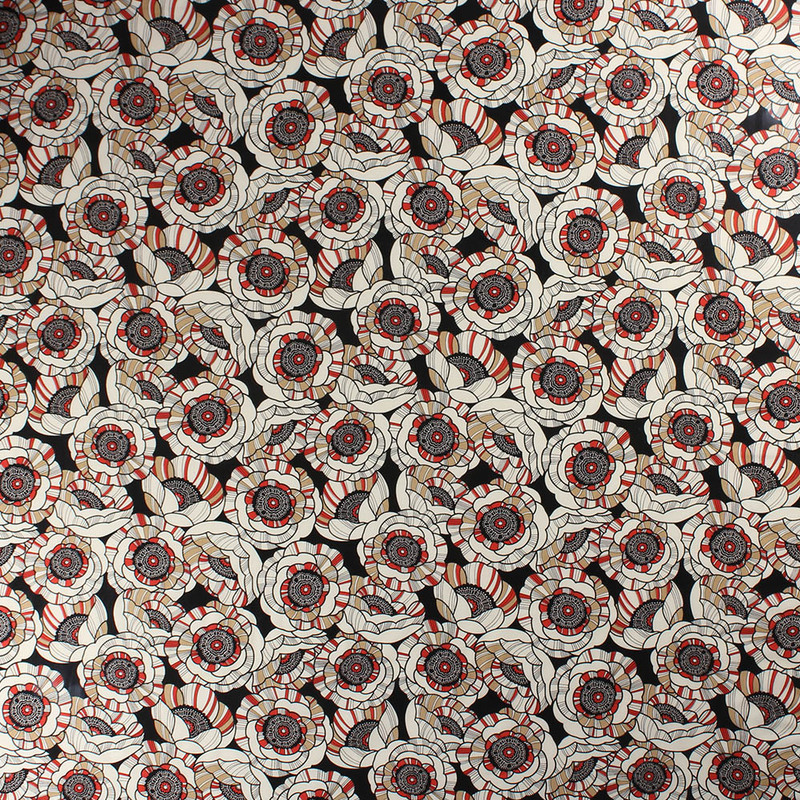 This cotton fabric is new and already quite popular! It has blue, yellow and red flowers over a dark brown background. Do you like the fabric? 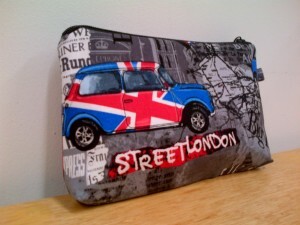 You can design any of our bags with it before it’s launched on the site. 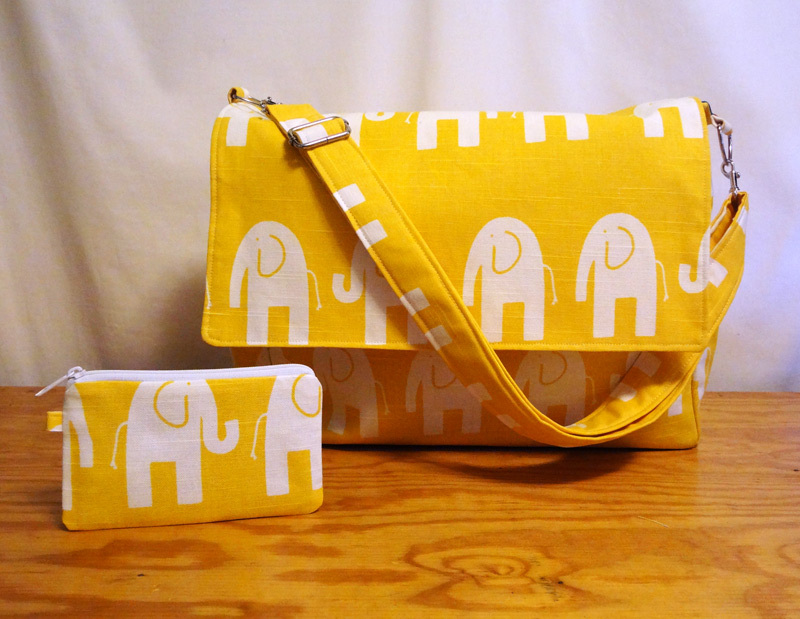 Contact emily@elementalthreads.com and tell her you want your new bag in this fabulous new fabric! We have picked up some delicious new fabrics that will be introduced on the website soon. Until then, we wanted to give you a sneak peak at the goods! This distinct cotton fabric is printed with swirls of turquoise, purple, blue and white colors. Talk about a bag that goes with everything! Do you like the fabric? You can design any of our bags with it before it’s launched on the site. 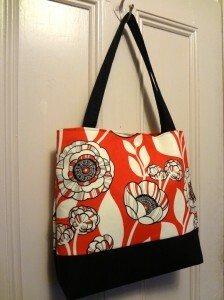 Contact emily@elementalthreads.com and tell her you want your new bag in this fabulous new fabric! 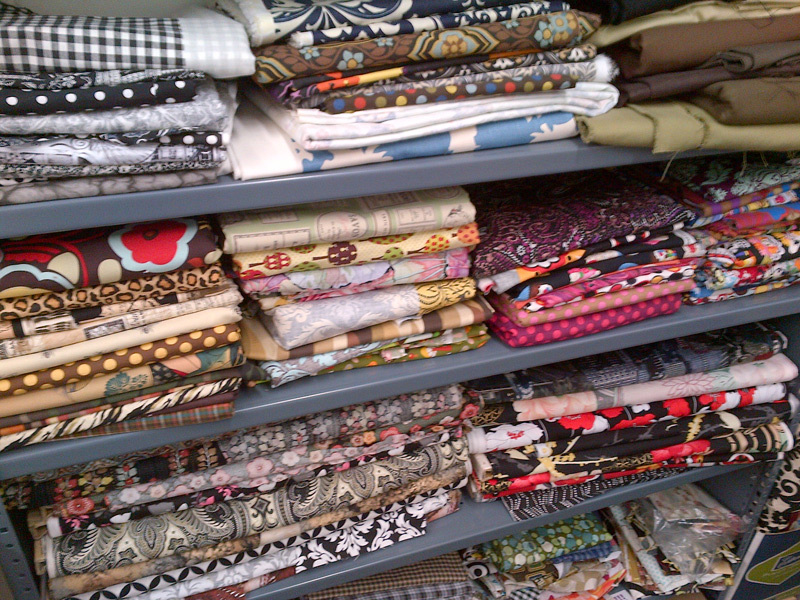 We have picked up some delicious new fabrics that will be introduced on the website soon. Until then, we wanted to give you a sneak peak at the goods! This distinct cotton fabric is printed with swirls of pink, purple, blue and white colors. 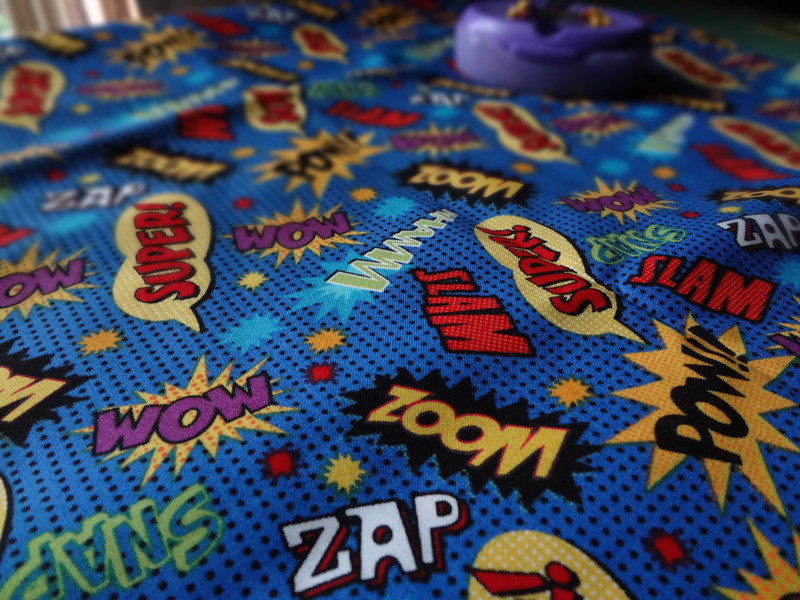 We love to add purple linings to this fabric to really make it pop. Do you like the fabric? You can design any of our bags with it before it’s launched on the site. Contact emily@elementalthreads.com and tell her you want your new bag in this fabulous new fabric! We have discovered a few new delicious fabrics and wanted to introduce them to you before they launched on the site! Meet one of my personal favorites, one I like to call “Modern Chain Link” because the pattern reminds me a bit of a chain link fence (in the most fashionable way of course.) 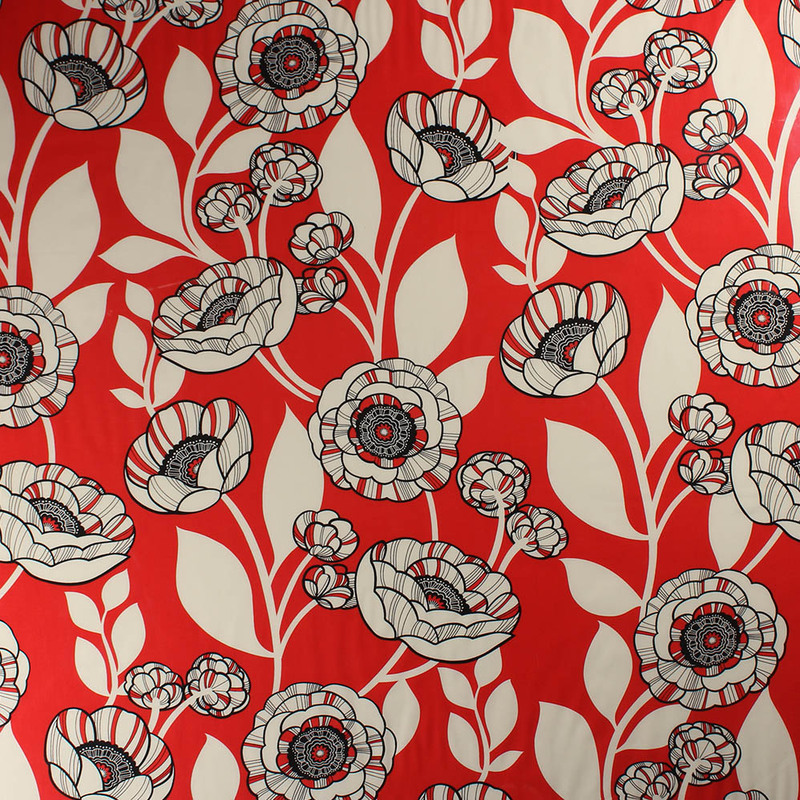 This fabric is brand new and already sold out – we had to buy more! The deep brown background complements the white highlights and the canvas fabric is quite soft. 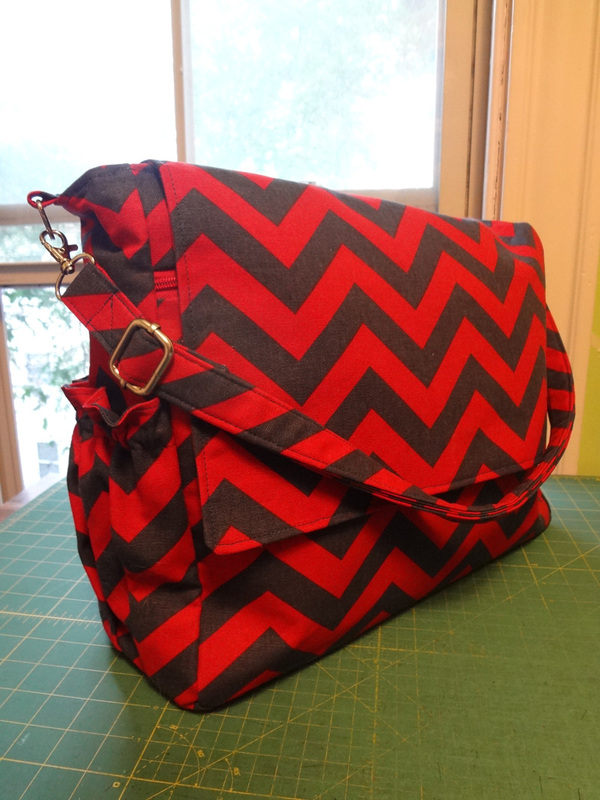 We love to add anything red to the design – lining, handle, zipper – to give a lovely accent. 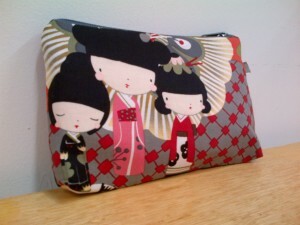 If you like this fabric, you can design any of our bags with it before it’s launched on the site! 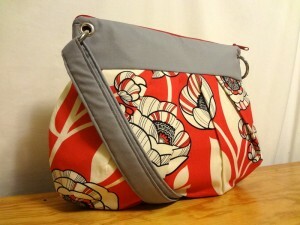 Contact emily@elementalthreads.com and tell her you want your new bag in this fabulous new fabric! We have discovered some delicious new fabrics and wanted to introduce them to you before they’re officially launched on our site! This fabulous new fabric is made with red and cream colors that are woven into a damask pattern. 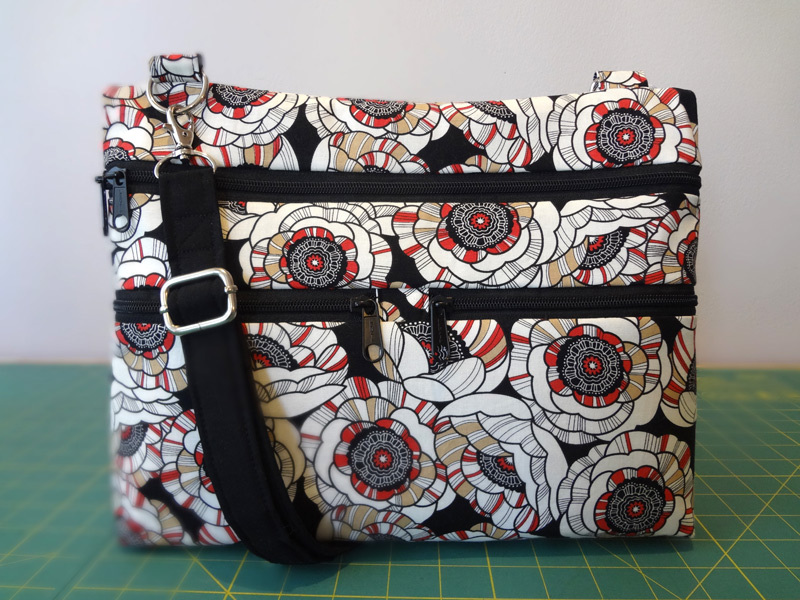 The best part about this fabric is that it’s reversible – so you can design a bag with both sides of the fabric and create a unique, versatile look. 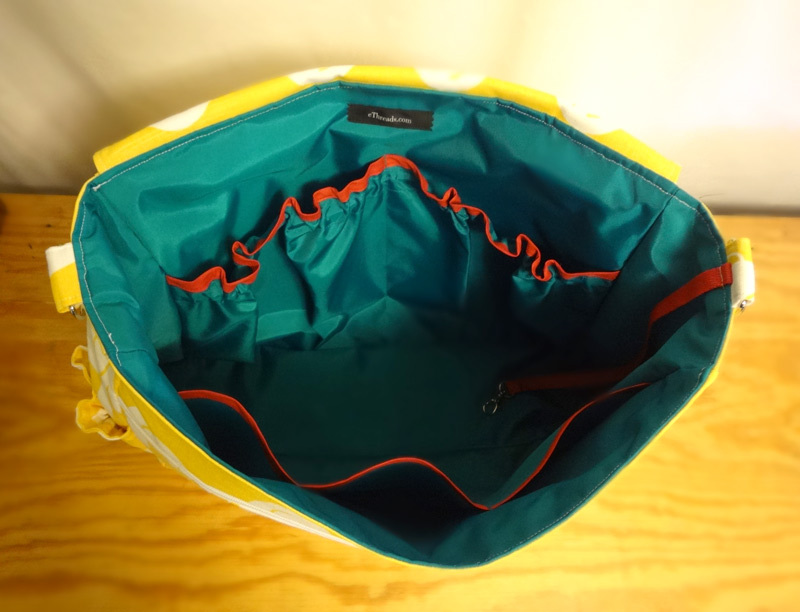 For example, in the Ruffle Tote below, the body and handles are made with the red side of the fabric but the pull ties are made with the cream side! It’s a subtle difference that makes the bag really stand out. 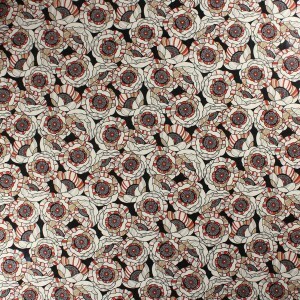 If you like this fabric, you can design any of our bags with it. Contact emily@elementalthreads.com and tell her you want your new bag in this fabulous new fabric!